It is fascinating to go to a movie and not see a story but the picturization of an idea. The visualization then is just a starting point for the audience's imagination. My suggestion - don’t look for a linear description of events, look for how this idea, this concept takes shape. Update: The director has given his interpretation of the movie here. It is a very interesting read along with other interpretations here. Of course, these articles have spoilers. But, in my mind, it wouldn't matter much because even after reading these, you could come out with an interpretation of your own, if you go in with an open mind. Happy watching! A four-letter expletive repeated thrice is what I am left with. In an excited tone. In an "I don't believe I just saw that in Hindi" tone. And most fascinatingly in an "It is beyond me to completely comprehend what I saw in one take" tone. The beauty of abstract concepts is that there are almost as many meanings as there are viewers. What a paradox!? Something that is not obviously meaningful has many more meanings than a clear statement! Oh, did I just digress? Coming to the point - the movie was a treat for the senses. The background music, sound design, camerawork, special effects - all worked towards narrating the idea. Nope, I cannot make myself say I saw a story; it was a visual description of an idea - a 'what if...?' Such cinema might not be the proverbial "everyone's cup of tea". But, the point is, it is now available for those who enjoy a different flavor. Thank you, Mr. Director! 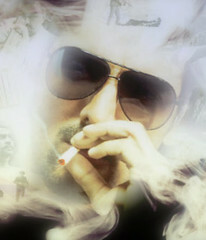 John Abraham plays K and absolutely everything in the movie is from K's point of view. But, don't let that keep you away, even if you are wary of his acting skills. Because he is literally 'unbelievably' good. The transition from the self-obsessed, full-of-himself man to the person who has lost his grip was remarkable. Especially because this came through to us with his performance and not merely the lines given to him. However, we could have certainly survived without the animated thought bubbles. What exactly was their purpose? They were not funny, not insightful - especially since you could make out what John was thinking from his body language and movement of facial muscles (yes believe me, he can actually do that!). It was a joy to watch Paresh Rawal not making a fool of himself. But his performance lacked a punch that the character demanded. A more powerful, more menacing "Sri Sri Sri ... baba" would have been great. The dialogues are nice and crisp, and absent when not needed - leaving a lot of room for interpretation. At the very least a couple of metaphors to decipher. Especially, the commentary on the infinite self-improvement programmes resorted to these days. Do any of the umpteen movie awards given out have a bravery award? I guess not. I think the time has come to start one and the first one should go to 'No smoking' Not just for the technical brilliance, but for the concept itself. Sadly, though, it might not go down as well with too many people. And those who are exposed to world cinema, have seen similar stuff before. But, what I admire is that I was able to watch it in a theater that screens mainstream Hindi movies and there were people who applauded when the credits started rolling. The question that I am still struggling with is - Would I have liked it as much if there were more obscure ideas translating into movies? Well, I'd say bring me more and we'll know! What if a guy is so obsessed with his smoking that he just can't get over the obsession, let alone the smoking? The sunset and movement of clouds was awesome. The fade out of the jazz music while K is talking to his wife. The breaking of the car windshield. What can one say when the whole movie is a figment of somebody's imagination. Everything is a continuity jerk. Or nothing is. Yeah sat, unfortunately the movie is being criticized negatively by most of the viewers. I guess, it is too metaphorical for people to appreciate. I just hope this does not dissuade people from making more movies like these, where the audience is required to use their brains and imagination. i just spotted the 'to each his own...' section. i don't know if you are aware of it, but the thumbs up and thumbs down ratings of movies is copyright - it is Roger Ebert's. I am not sure if you care too much about copyright but it is generally a good practice not to use someone else's copyright. Arvind has posted 2 comments and has rated 0 movies. See Arvind's page for more details. Morph and Ashish K. - "intelligent"? Hmmm...am not sure I want to label movies like that. But, if you are talking about a movie that makes you think. This certainly did make me think. Thanks for taking the time to leave a comment, guys! I really appreciate your concern. And good to hear from you again. Anna, I certainly hope so too. I am as glad as you that at least some people liked the movie and are voicing their opinions. Mudit, I want to see it again too!! I am sure I will come out with more admiration for the movie. terrific. i am satisfied with the answer. thank you for clarifying. i'll be back(not copyrighted by Arnold Schwarzenegger). wow Puneet! I was wondering, that though the movie is not about 'smoking' or 'no smoking', how smokers would react to it. Thanks for providing your take. Well, you should consider watching it alone, if you don't find company. Thanks for sharing your reaction. Hi TinuAnand, sorry to disappoint you. I might consider having a qualification for the rating. The issue is, that I am not a big fan of conditional opinion. I think an opinion is an opinion. I feel, saying something like - Must watch "if" you have a taste for artistic movies - copping out or cheating your readers. Nevertheless, you might soon see a qualifier along with the rating, when required. Here is my own interpretation of the movie, and some common things which people couldn't get, cleared up. Apoorv Khatreja has posted 1 comments and has rated 0 movies. See Apoorv Khatreja's page for more details. Interesting take Apoorv, and interesting blog too. Read a couple posts. Keep visiting! babu mathew has posted 1 comments and has rated 0 movies. See babu mathew's page for more details. @mainak, meetu is on vacation until Monday. Hopefully she will reply in a day or two after she comes back. Navin Kabra has posted 7 comments and has rated 0 movies. See Navin Kabra's page for more details. @ mainak, one has to understand and accept one's limitations. I don't understand the psychoanalysis parts completely and would be lost if I had to counter-argue...thus stayed silent on that aspect. She was hot but pretty stupid... I should have known better. Cheating Girlfriend has posted 1 comments and has rated 0 movies. See Cheating Girlfriend's page for more details. I read your reviews because you analyze movies based on entertainment to mass audience. Now you are reviewing more like what other reviewers do. Ironically thats what this film all about! flowers has posted 7 comments and has rated 0 movies. See flowers's page for more details. Is this forum still active. I remember watching the movie when I was 14 and hating the fact that I couldn't understand it. Years later, having read a lot of Kafka and following Kashyap's life you can't help but admire the genius of the man and the subtlety of the movie. Kudos dude! 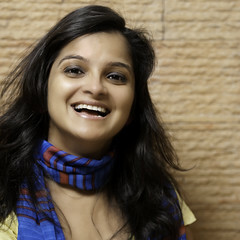 ANSHU BEHERA has given this movie a Yay! Thumbs Up. ANSHU BEHERA has posted 1 comments and has rated 1 movies. See ANSHU BEHERA's page for more details.